For some, organizing the RV is an adventure. You get to take a haphazard pile and create order. For others, it's like asking them to get a root canal. No matter what your feelings on RV organization are, we have 5 great tips that are sure to get you motivate to whip that place into shape. Stick command hooks on the inside of your cabinets and place lids, muffin tins, and other items in them. To secure them, use bungee straps to keep the items in place. This not only utilizes more storage space, but it's also a great way to keep things from rolling around in your cabinets. Counter space is usually limited in an RV and you definitely don't want your produce getting mashed in the fridge. This is a great solution! 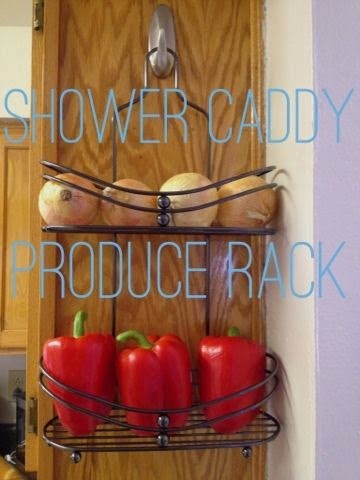 You just need a hook and a shower caddy and you can store your produce. You can also get hanging produce storage as well that's very similar and has more room. The point is, there are many options for produce storage in an RV, so find what works best for you! 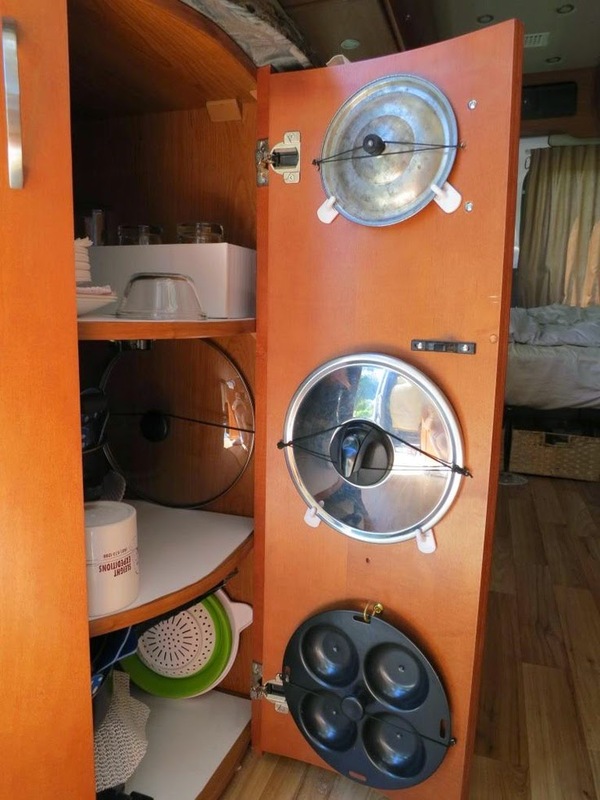 It doesn't matter whether we're talking about a small apartment, small kitchen or small RV, having a drying rack out can take up a lot of space. Not to mention they are pretty unsightly things. This is definitely the greatest thing since sliced bread! 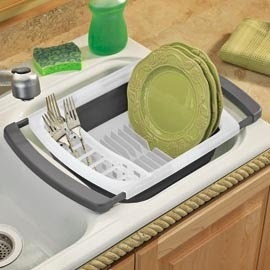 It's a collapsible dish dryer that you can place in your sink while the dishes dry and fold up after you put them away. Genius, right?! This might not be a "quick fix", but it's definitely worth it. One thing you'll realize when you live in a small space is that every ounce of storage matters. 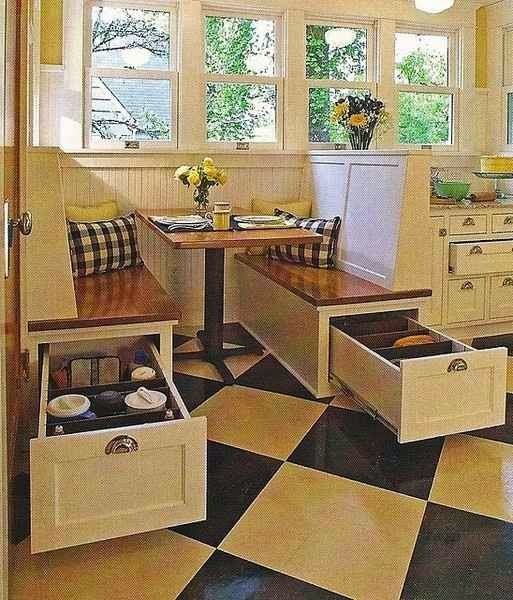 Use dead space, like underneath your seating, to create hidden storage. It keeps your camper looking great and with less clutter too. An RV fridge can be a pretty scary place. This tip is simple and useful. 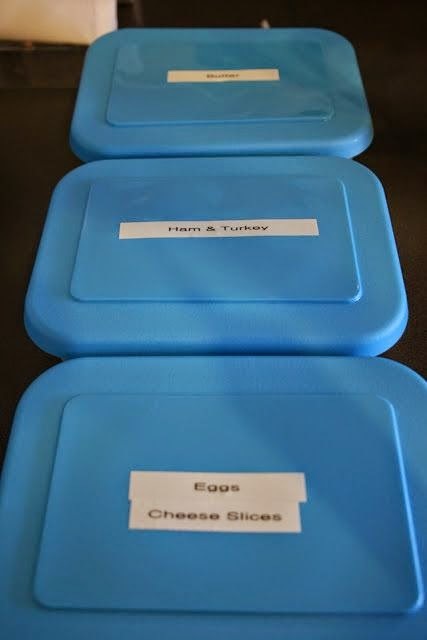 Organize your food into containers according to item and then label them accordingly. You'll be able to stack the bins and you can use bungee cords to secure the bins in place. More delicate items can be stored together and you won't have things rolling around in the fridge. But before you run out and buy a bunch of bins, make sure to assess what types of food you usually keep in your fridge and buy things accordingly! What tips do you want to share for RV organization? If you love RV camping and gadgets then you've come to the right place! What better to make your big toy a little more fun than the best high tech gadgets on the market? We are dishing up the top 5 RV gadgets we think you'll love. 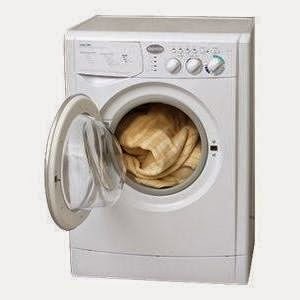 No one likes for gadgets to be adult, but here's the thing, this is a washer & a dryer in one. That means you'll save space where it counts without losing the ability to do a load of laundry in your RV. If you've ever had to haul dirty laundry you'll know that having the ability to do it at home is a serious blessing. It will cost you about $1,000 for a washer, dryer combo. That's quite a chunk of change up front, we agree. Here's the thing, with a single load of laundry (just to wash) costing about $2.00, you'll save what you spent in no time. You might not want it, but you need it. These bad boy will save you time, space and money on your RV adventures. It's a high tech gadget that brings out the practicality in all of us. Now let's move on to the fun stuff. Want to host all the best cookouts? Well, the 360 grill will let you get the job done in half the time. With so much space you'll be able to cook a little something for everyone. 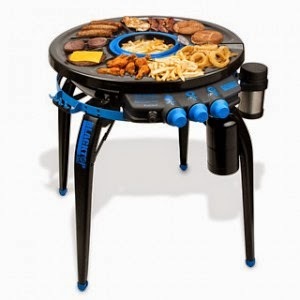 When a deep fryer, griddle and grill get together there's no way this isn't getting 5 stars. What can't you make with this grill? You'll have the best parties because you'll have the best food and if that isn't worth a lot on the awesomeness scale we don't know what is. This grill comes in right around $230, but for all it does we think that's a great cost! With most grills running right around $200 this rolls with the best and does more than most. We think it's a pretty sweet investment. Grills and camping go together like peanut butter and jelly. If you want to be an efficient grill master this is definitely the way to go. Plus, it just looks cool and that should be pretty high up on any gadget lovers list! Sick of hauling around a bunch of soda cans? Well the SodaStream could be the answer to your biggest struggles. 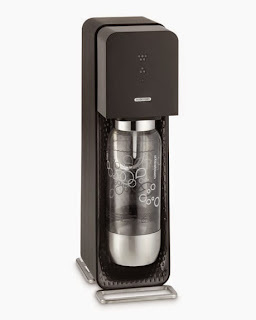 It turns tap water into sparkling water or soda in just 30 seconds. Just add flavoring and you have one sweet drink. It could help save money, but mostly it's awesome for saving some space.We only gave three stars because we've never actually tried it, so for soda lovers it might be better to stick to the real stuff. We still think this is pretty nifty though. It's around $200 for a SodaStream. If you like it more than regular soda it could save you some serious cash in the long run. Nope, you don't need this, but you want it. People say it tastes just as good as the real thing for half the cost. With the extra space you're saving this is a great idea for RV campers, you just don't need it all that much! Getting around in an RV is a big deal. While the GPS on your smartphone might do the job for car trips, it's definitely not equipped to handle life on the road. 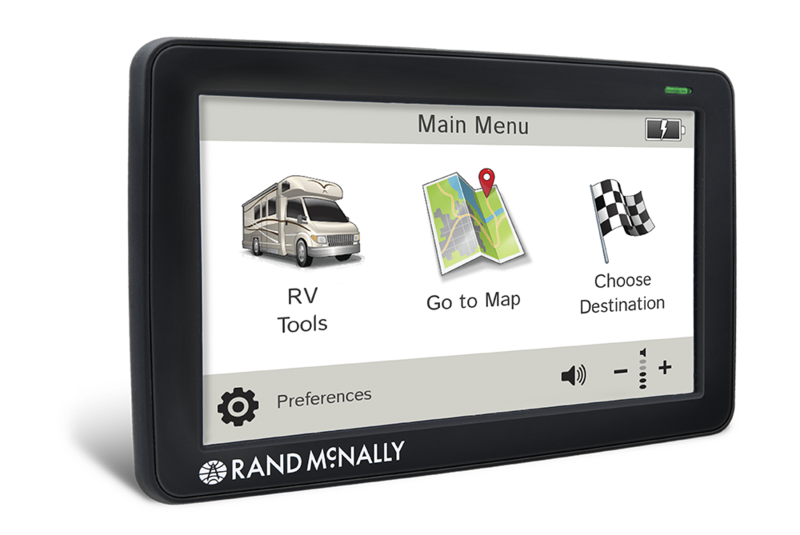 The TripMaker GPS knows a think or two about traveling in an RV and it can help you get where you're going. 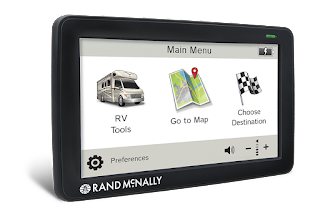 This GPS was designed specifically with the RV camper in mind. With a 7 inch screen and tons of features, this is an awesome device that every traveler will want. You could spend hours just playing with all the features. It's a pretty hefty cost at around $400, but it's something you can have for quite a long time. It will be a big asset on the road, and that's something you have to consider when you look at the cost. This will tell you everything you need to know about traveling in an RV. Once you pop in your style of RV it can help navigate you through the roads so you don't end up in places you can't fit. Plus there are tons of other fun features you can't miss. Need a charge on the go? 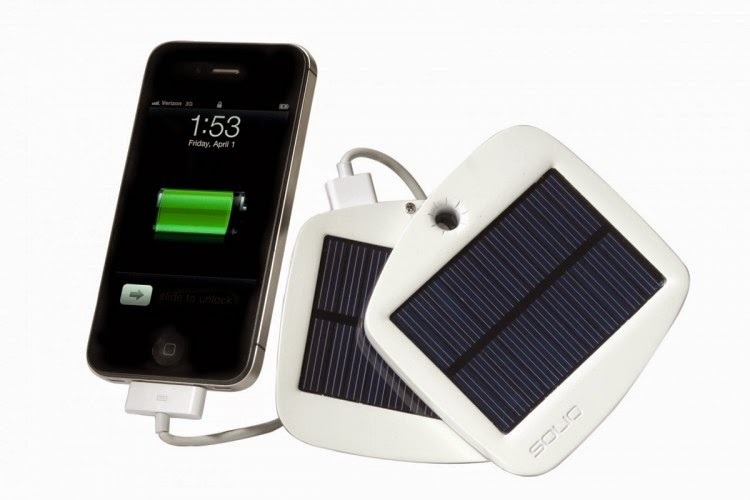 The Solio Bolt is a solar panel that uses energy from the sun to charge your favorite electronic devices. Now you won't need power to recharge your devices when you're out and about. This is a cool device for a lot of reasons. It helps you go green while still using the electronics you love, and that's a win for everyone. Coming in a just $70, this is a device that's definitely worth the price. You can use it again and again, plus you'll save a little money on electricity along the way. This device falls in the middle. You don't need it, but you also kind of do. If you're a gadget lover this is basically a must-have. Everyone will be jealous too when you're letting the good old sun charge your phone and theirs just died.